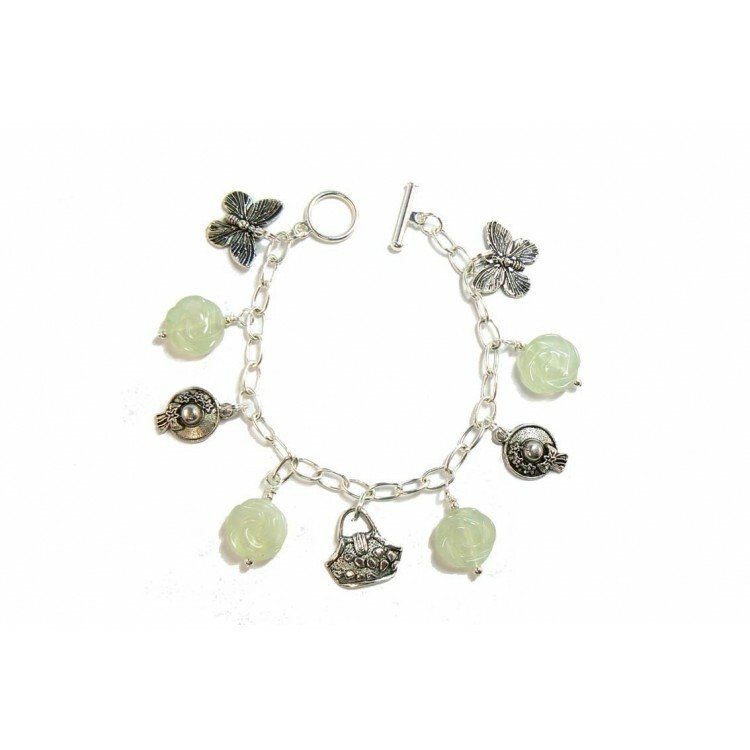 Expertly carved and irresistible green serpentine flower beads adorn this gorgeous charm bracelet. A symbol of love and a precious gift to give. Pale green serpentine is often referred to as "new jade". However it is softer and less dense than the real jade. This serpentine charm bracelet is made with a silver plated "nickel free" chain bracelet, which complies with EU directives. I have added 4 carved serpentine gemstone flower beads plus 5 Tibetan silver charms. It measures 7.5" (19cm) long and is fitted with a toggle clasp for easy fastening.